To reconcile clearing account is necessary because there may be difference between actual record general ledger account and temporary record in clearing account. Like other type of reconciliation process, we also follow the process of clearing account reconciliation. Before, explaining its process, you should understand the clear meaning of clearing account. When there are lots of entries work in the business which are done by large number of accounts assistants, clearing account is open for holding accounting information relating to business transaction. After personal review of accountant clearing account's record is transfer to general ledger accounts. So, clearing account is temporary account for recording for further proper record of transactions. For example, we are obtaining cash from lots of our customers. So, we will debit cash account and credit clearing account and then after review, clearing account will debit and account receivable account will credit. So, by this way, there will be nil balance in clearing account. But sometime, it may have some amount. So, we have to find the reasons behind this through reconciliation of clearing account. When you have transferred all temporary recorded business transactions from clearing account to proper account, you can use accounting software tool named "reconcile" for checking you have to transfer correctly. In all famous accounting software like SAP, Oracle and Xero have the tool for checking when we have transfer to proper account correctly or not. For example, if our customer is A but we have received fund from B, it means, clearing account's this amount will transfer to B account but we have transferred A account. So, due this, there will be wrong in account transfer. We can reconcile this by verifying this. If our reconciliation will complete, then we can also pass adjusting entries also. We can record any business transaction in clearing account for some time before proper record. 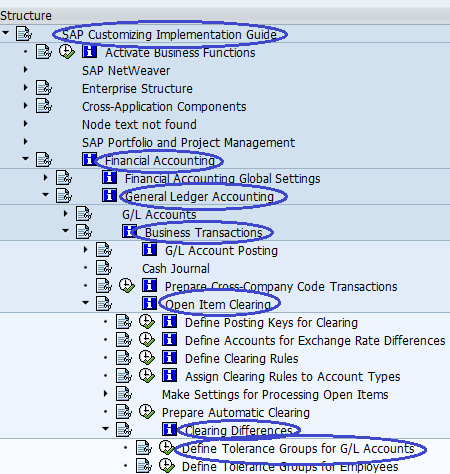 In SAP, if we have received goods but not still invoiced, you can record in GR/IR clearing account. But when some part of total good received, you can record in your supplier account and GR/IR clearing account.By checking both clearing account and vendor account, you can reconcile both account easily.